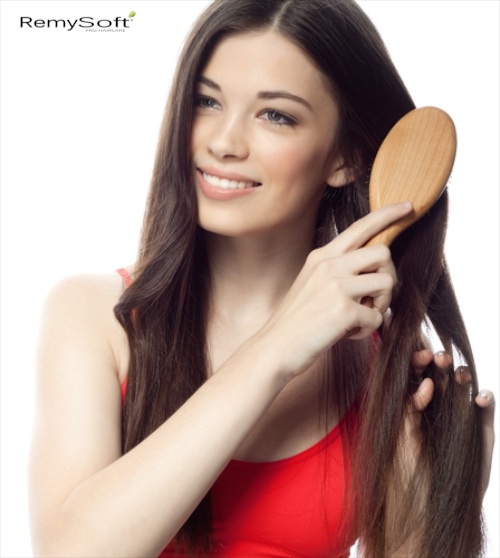 Use the right hair brush for quality hair care. 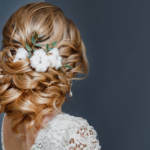 There are a great number of hair brushes available on the market, but many of them, particularly those made with plastic or other extremely rigid bristles, may not be good for your hair, especially if you have hair extensions or other hair replacement pieces. Instead, using a boar bristle brush can be your best option for quality hair care. Learning the benefit of this type of brush, as well as proper hair brush care, will ensure your hair looks great and your brush lasts as long as possible. One of the greatest advantages to boar bristle brushes is their natural conditioning qualities. Everyone knows the importance of using conditioner as part of a quality hair care routine. A brush made with boar bristles will draw natural oils from the scalp and carry it to the ends of your hair, improving texture and shine without additional products. Many people complain about frizzy hair, which often requires hair products to keep it under control. Whether you wear hair extensions or just want to care for your natural hair better, the use of a boar bristle hair brush can reduce frizz and eliminate the need for other styling products to do the job. This is due to the way the bristles disburse the natural oils of the hair. Nothing is better than a nice scalp massage, and one of the best ways to give yourself one is with a boar bristle brush. When these bristles move over your scalp, it can increase blood flow, which improves your hair health, and it can help you relax too. 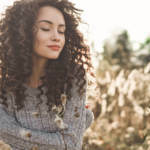 No one likes to spend the money on excessive hair products, nor do they want to expose their hair to unnecessary chemicals. When you choose a boar bristle brush over another kind available in most stores, your hair will become healthier and will require fewer harsh products to style and keep it clean. Washing your hair frequently is a fairly recent trend. With the invention of the handheld hair dryer in the 1960s, women began washing their hair daily, rather than once a week. However, too much washing can cause damage to your hair. With the use of a boar bristle brush, you can reduce the number of times you must wash your hair. This is because the boar bristles prevent the buildup of oil on the scalp. With the right products, you can reduce your hair washing practices to once every two to five days. Quality hair care is important to keep your hair looking its best. 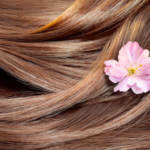 Using the right products for hair extensions or your typical hair is just one important step. In addition to hair care products, using the right brush is also essential. A boar bristle brush, for instance, can provide a number of benefits to enhance your hair care regimen. If you’re looking for great hair care products, contact us. We carry everything you need to ensure your hair looks its best at all times. Parting Your Hair: Is Middle the New Side?